I never was much of a Poe fan but Pierce reciting the poem for strangers is impressive!!!! I like the recitation, what a brave and brilliant lad.Been thinking of them when I see eagles. Congrats to Pierce for his performance. I didn't realize the Poe Museum was in Richmond. 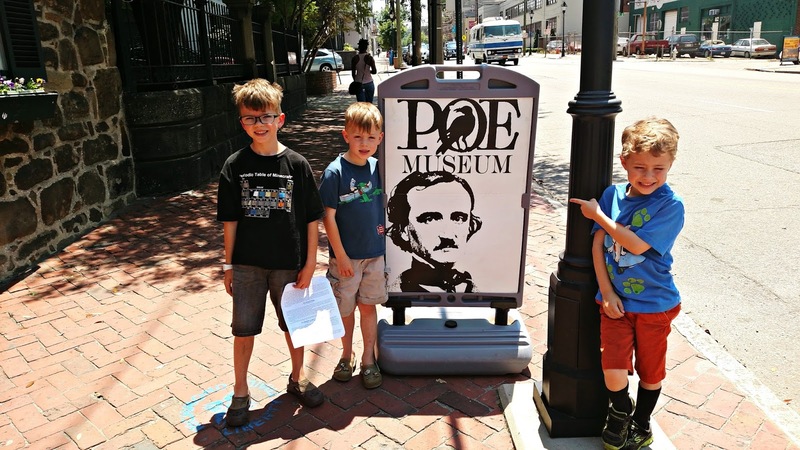 That's so cool that Pierce recited the poem there at Poe's museum! They used to include a view of Poe's room in a tour at UVA--don't know if they still do. I am so impressed with Pierce and his deep interests in the literary world! WOW. And what a sweet surprise from his Mama! Love this! Tell Pierce I am really impressed with him! The poem is not short. Perhaps he will now branch out into other poetry, too.This might have been a big encouragement. I wish I had seen his recital and applause! HEY, maybe if you ever get stumped for a post, you can video him reciting it for us. I would love that!The plastic raven is the perfect souvenir. Also, you can see his dorm room at U.V.A. It is rather spooky, I'm sure Pierce would love it. We went to this house when we were in Richmond!This was a few years ago, and they let me take pictures! 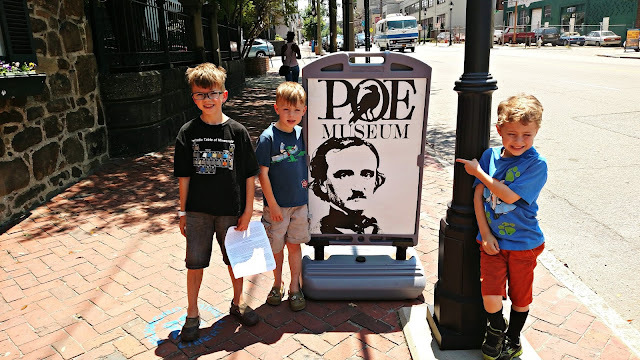 Do they still have that big cardboard picture of Poe that you can take your picture with? 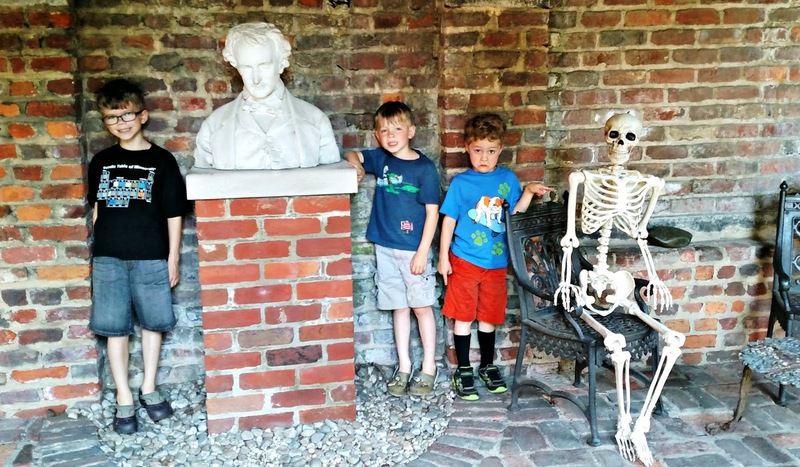 We took pictures for the blog and it looks like you are standing with Poe! If I can find it, I will send it to you, and you can see if it fools him! What a lovely outing and all our thumbs up to Pierce - you are so very clever! That's so cool that he got to say The Raven for some of the customers. I bet that made him happy when they clapped. What a fun stop for them. It's too bad they wouldn't let you take pictures inside. I get bummed when I go to The Rose Theater, and can't photograph what it is that I'm reviewing. I get it. It's just kind of a bummer. WOW! I am impressed that Pierce knows that poem so well! Looks like a great adventure and a learning trip too. How exciting for Pierce to visit the museum and so awesome that he recited the poem for the customers in the gift shop. Way to go Pierce! 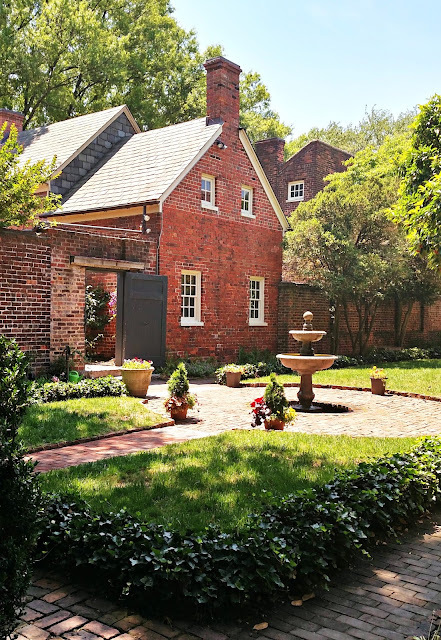 The kids might like The Confederate Museum in Richmond. It has a lot of good displays from that period of history. Love that he got due appreciation! Way to go, Pierce! Looks like fun! Good for Pierce! I am impressed that Pierce recited The Raven! That is fantastic! Looks like it would be an interesting and educational place to visit.